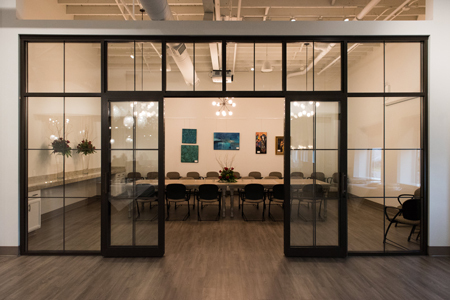 The private dining room at LEX 530 in Elkhart is perfect for smaller corporate events. 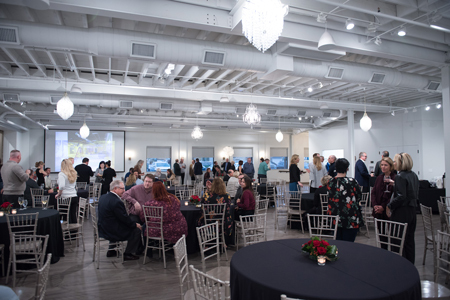 After almost two years of planning and development, my wife Emilie and I are very pleased and excited to announce that our LEX 530 event center has officially opened this week. The main room of LEX 530 before guest started arriving Sunday. Emilie and I had two soft opening events last weekend. The first was an open house for all the building tenants (who put up with the months of construction, noise, dirty hallways and a lot of inconvenience) and the many tradesmen who worked on the construction project. Carl and good friend Robert Thatcher of Elkhart at Sunday’s open house. At times the construction became difficult due to the building being old and constructed in different sections and at times the issues became very frustrating and difficult to resolve. However, we all worked together and made the best decisions we could and the end result is a beautiful event space. Emilie and I would like to extend a very special thank you to our interior architect and designer Debra Weninger of Debra Weninger Design in Chicago (debraweningerdesign.com) for all the great ideas and hard work she put into this project. She and Emilie again teamed up to work out all the details for the interiors and personally I feel they knocked it out of the park. Emilie and I appreciate everyone’s contributions to the project. It took a lot of hard work and effort to make LEX 530 such an outstanding venue. 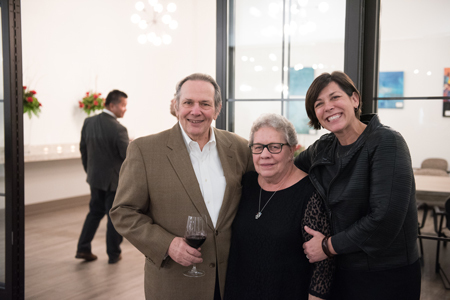 Carl and Emilie Tiedemann with their designer/interior architect Debra Weninger of Debra Weninger Design in Chicago. Our second open house was for our family and many friends who have waited patiently to enjoy the space. Both events were great fun and a huge success. Thanks to all of our staff who helped make these events such a big success. Our first “real” event was held last night with Old National Bank as they hosted a get-together for their staff and customers. The bank CEO, Bob Jones, was in attendance and offered some remarks on the bank as well as the economy. It was great to see Bob again…he and I are wine buddies. 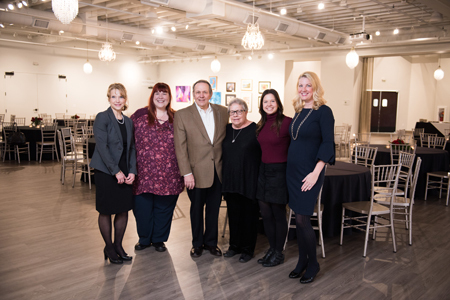 The LEX 530 team, from left: Lou Ann Welsh, LEX 530 Event Director; Melissa Hiner, Marketing; LEX 530 Owners Carl and Emilie Tiedemann; Courtney Catanzarite, Social Media; and Stephanie Krol of Stephanie Krol Public Relations. 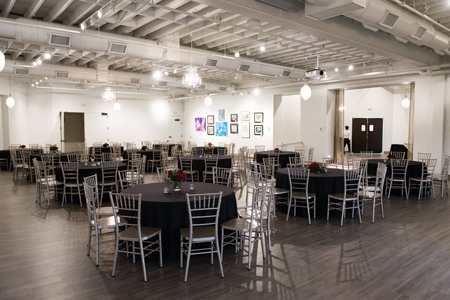 Aside from hosting your special events, LEX 530 will also be hosting events of its own. Soon we will be announcing the formation of the LEX 530 Wine and Dinner Club. A view from the party on Sunday in full swing. 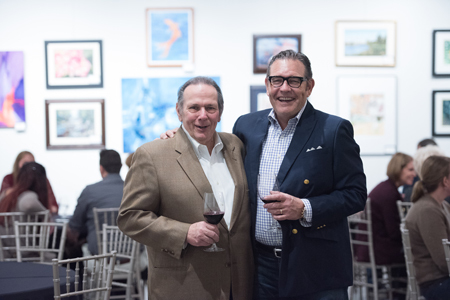 First and foremost we want to provide our club members with great food and wine as well as an opportunity to meet other members and create lasting friendships. Our intention is to gather one day per month for exclusive dinners which will be prepared at times by guest chefs from around the area. As an example, I have had positive discussions with Morton’s Steakhouse in Chicago about having their Executive Chef come to LEX 530 for ‘Morton’s Night.’ I currently have a list of chefs I am speaking with to arrange similar dinners. LEX 530 is your destination for all the great wines Carl makes. In addition to these potentially outstanding dinners I am exploring the possibility of hosting very special wine tastings, cooking classes, wine classes and many more special events for our club members and potential members. 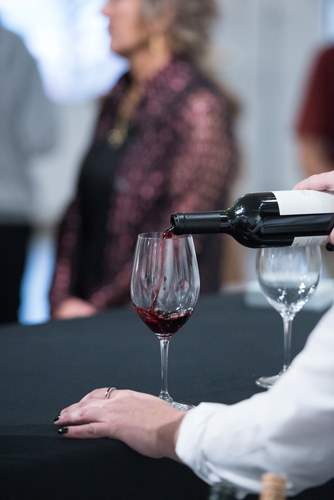 Another benefit of LEX 530 is that our new liquor license will allow club members, or anyone, to purchase wine from LEX 530 for your personal wine collections. I am also exploring the opportunity of providing club members with specially selected wines each month. My goal is to continue to introduce you to good wines at reasonable prices. This falls in line with my blog articles on wines that have been rated at 90 points or higher for just $20.00 or less. There are many exciting things planned or underway at LEX 530. One sure thing: we’ll always have good wine. So exciting, Carl & Emilie! Thank you for all your efforts to make our community an exciting and fun place to live. Dianna: It was great to see you at the LEX 530 open house. Also Emilie and I want to thank you for all your help in arranging to get all the artists to display their work in the event center. It really looks wonderful. What a lovely venue! Glenn and I had a nice time on Sunday with you & Emilie and family and your guests. Looking forward to being at LEX 530 sometime in the future. Donna: It was great to catch up with you and Glenn. It seems like forever since we got to chat. 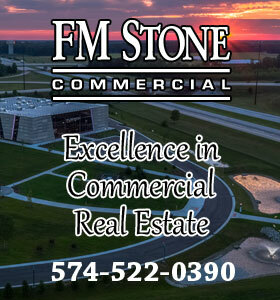 Thanks for attending our open house. I only wish we would have had more time together.